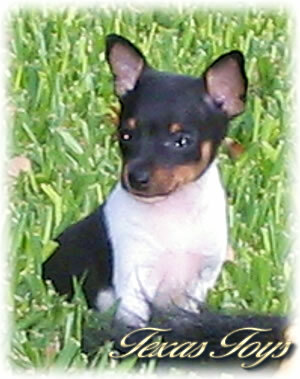 It was nearly ten years ago that I bred my first Toy Fox Terrier. I learned from my mother, who had been breeding and raising Toy Fox Terriers for years. About five years ago, my mother chose to retire and gave most of her little angels to me. Of course, she wanted to keep a couple that she had grown especially close to. Taking over the family business has proven to be a prudent decision for me. The pups are a constant joy in my life, and luckily I still have my mom to lean on for opinions and suggestions. We share an extensive knowledge of the Toy Fox Terrier breed and continue to learn from past litters. My goal as a responsible breeder is to raise puppies that are genetically free of defects, meet breed standards and have excellent temperaments. I work diligently to properly socialize my puppies and make sure they are as healthy as can be. Each litter of puppies is carefully planned for, as my reputation is tied to them. My business is based around honesty and trust, and I guarantee that every puppy I sell will be healthy. I simply refuse to send out a puppy that is not 100% ready to go. My mother provided me a dream of a lifetime, and I would not do anything that would jeopardize or tarnish my business and reputation.